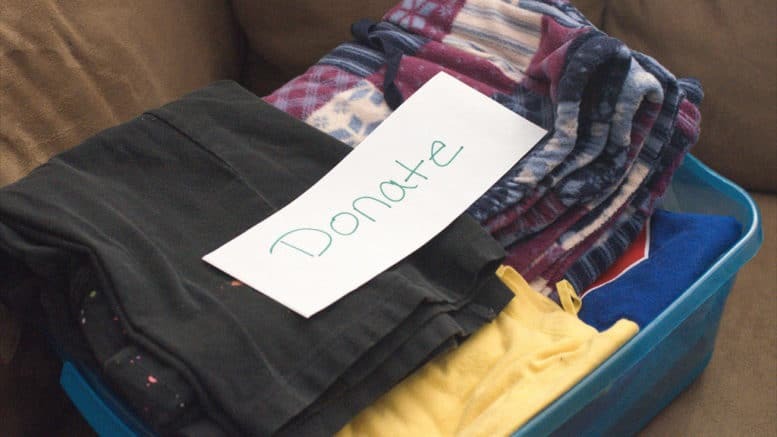 CHS is hosting a Goodwill Fundraising Drive on Sept. 22 and Sept. 23. Support Cupertino High School by making a Goodwill donation during the school’s fundraising drive. Acceptable donations include books, household items, clothes, shoes, accessories, toys, and E-Waste. They can be dropped off at the CHS Band Parking Lot, 10100 Finch Ave., on Sept. 22 from 3 p.m. to 7 p.m. or Sept. 23 from 11 a.m. to 5 p.m. Please do not donate furniture, food, weapons, large appliances, car parts, medical or pet items, construction debris or items heavier than 50 pounds. All donation proceeds will benefit Cupertino high’s Grad Night. 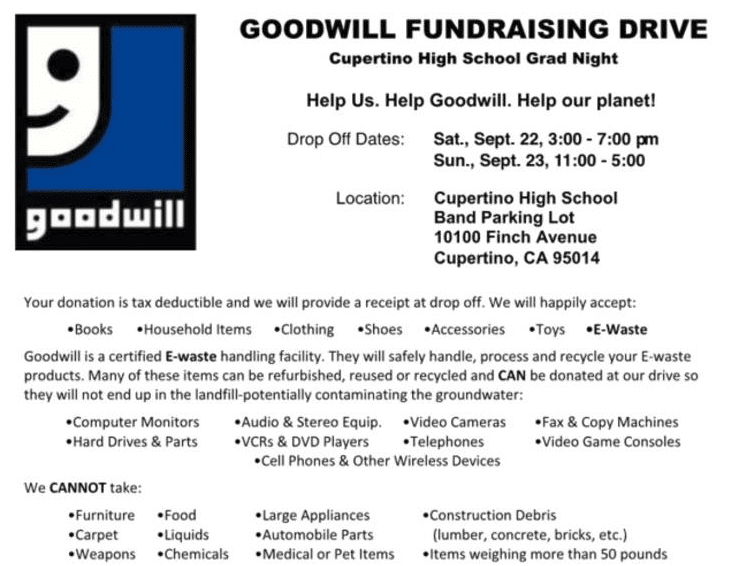 Be the first to comment on "Goodwill fundraising drive to benefit Cupertino High Grad Night"